The information presented on this page was originally released on September 20, 2012. It may not be outdated, but please search our site for more current information. If you plan to quote or reference this information in a publication, please check with the Extension specialist or author before proceeding. PASCAGOULA -- Barakat Mahmoud is one of many Mississippi State University scientists whose work improves the safety and security of the global food supply. The world population topped 7 billion in March 2012 and is expected to exceed 9 billion by 2050. Feeding this many people puts tremendous pressure on the food industry. Mahmoud, who holds a joint appointment with the Mississippi Agricultural and Forestry Experiment Station and the MSU Extension Service, recently spent two weeks in the Dominican Republic teaching Good Agricultural Practices and Good Handling Practices to more than 50 farmers, packers, Extension agents, professors and regulatory agents. The guidelines, known as GAPs and GHPs, were issued by the U.S. Food and Drug Administration in 1998. The practices are aimed at eliminating food safety hazards that can occur during growing, harvesting, cleaning, washing, sorting, packing and transporting unprocessed foods, such as raw fruits and vegetables. For example, Mahmoud said four outbreaks of salmonella that occurred in the United States were associated with the consumption of cantaloupe imported from Mexico from 2000 to 2002. Two deaths were linked to the outbreaks. “As a result, the FDA implemented stringent inspection guidelines, and cantaloupe shipments from Mexico steadily decreased from more than 400,000 in 1999 to zero by 2003,” he said. The type of event that decimated Mexico’s cantaloupe business can be prevented or minimized by proper food-handling techniques. Workshops that teach these techniques can help the agriculture industry avoid such catastrophes. More than 50 percent of the Dominican Republic’s export revenues come from the United States. The country is one of the world’s largest exporters of organic bananas and organic cocoa. Tomatoes, peppers and yucca are the largest conventionally grown crops to be exported and are targeted to ethnic markets in the United States. Canada, Western Europe and Japan also import its goods. Mahmoud has conducted trainings related to food safety and preservation in the United States, Canada, Egypt, Japan, Malawi, Mozambique, Oman, Portugal, South Korea, Thailand, United Arab Emirates and other countries. His work is an integral part of MSU’s mission to improve food safety and reduce chronic hunger worldwide. “Mississippi State University is devoted to the advancement of food safety and security across the globe, and Dr. Mahmoud’s work plays a significant role in the progress of these issues,” said Sam Chang, head of MSU’s Department of Food Science, Nutrition and Health Promotion. Mahmoud’s trip was sponsored by Partners of Americas through the Farmer to Farmer program and supported by the U.S. Agency for International Development. 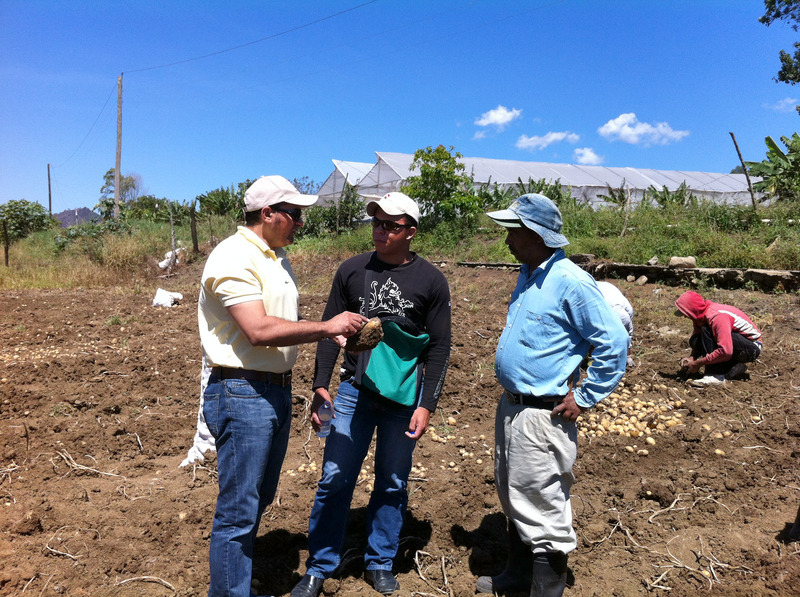 The Farmer to Farmer program is committed to improving the local economies of rural Latin America and the Caribbean by increasing food production and distribution, promoting better farm and marketing operations, and conserving natural resources.